PRIAM is the result of 20 years of development involving over 200 man-years of product development. We operate from Sanderson House of Manor Road, Coventry. The name PRIAM is an acronym for Personalised Retail Inventory and Accounts Management. Priam was also the King of Troy in Homer's Iliad. We can only claim that our product goes back 20 years but software works on smaller time scales than mythology. The original system was designed and developed as one integrated system. The original designer/developer is still within the company and the first customer is still with us! 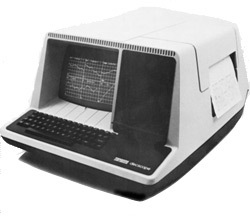 Originally the system ran on DOS and SCO UNIX. It was extremely successful from the outset because of the simplicity of the design. Everything integrated seamlessly as the system was designed as an entity, not a series of 'bolt-ons'. Significant clients such as Harrods and Dixons bought the system while the company was extremely small. This certainly proved the product could sell itself, and growth since has been boosted by the confidence of our original customers. The company has grown to maturity but not gone stale. Over the last few years we have invested heavily in staff and products, producing a wide range of products working on various modern technologies. Because of the user base we support, the staff and the innovative products, we feel that we have a significant future. The current 'shake-out' in the software market place will see many of the less secure companies, large and small, disappear. We are confident we will be able to help their customers onto a more settled future with us. View all the latest company announcements, product and client related news. Meet the PRIAM management team. The companies PRIAM work with. Arrange a demo of the PRIAM system. Find or become a PRIAM reseller/distrbutor. View current job vacancies with PRIAM.